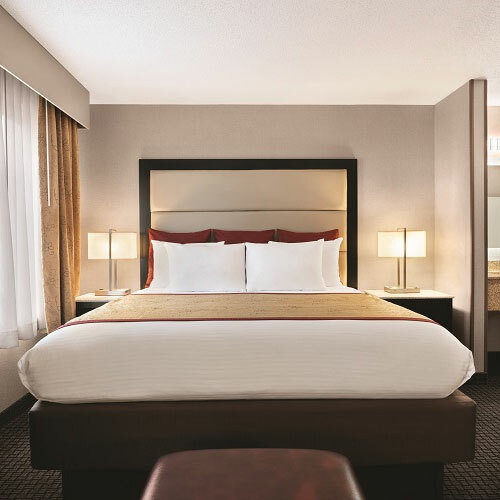 Located minutes from downtown and many attractions, this hotel offers comfortable guest rooms that include large bathrooms with a separate vanity area. Dogs under 25 lbs are allowed for a fee. Smoke free premises. 73 units. 3 stories, interior corridors. Accessibility (Call). Jct US 30 (Lincoln Hwy). Located in a commercial area. 2045 Lincoln Hwy 17602.